Download hi-res picture pack, here. 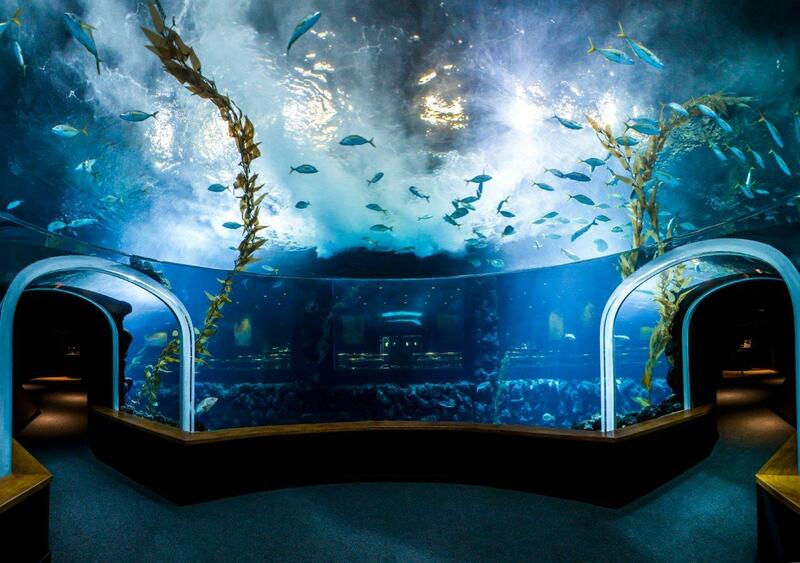 With a total tank depth of 8.5 metres and holding 5.5 million litres of water, Deep Sea allows you to observe the wonders of the ocean deep in a unique environment, with around 3,000 specimens of up to 40 different species swimming in its dark waters. Deep Sea is a unique exhibition that offers a multi-point perspective in a never-before-seen experience. 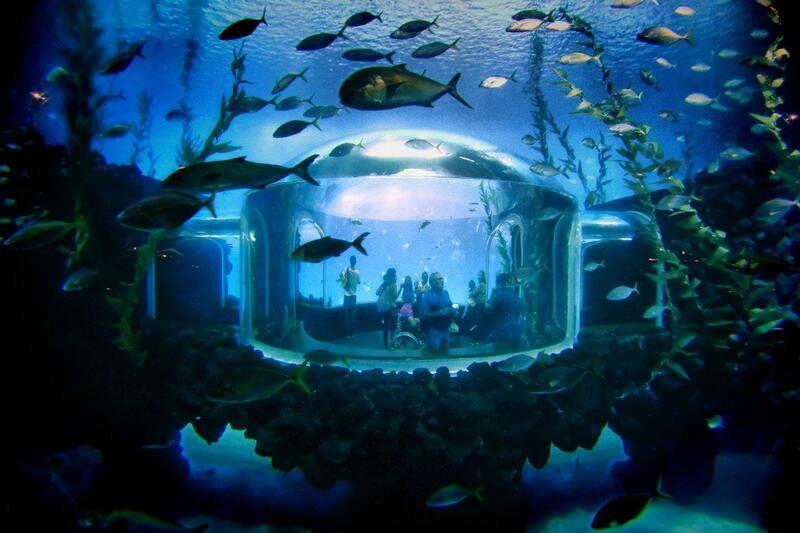 Before reaching the large curved window, which is the culmination of a 360 journey through the depths of the ocean, Deep Sea can be seen from diverse aspects. The large dome stands out halfway down the walk, with a spectacular resonance due to its circular shape. 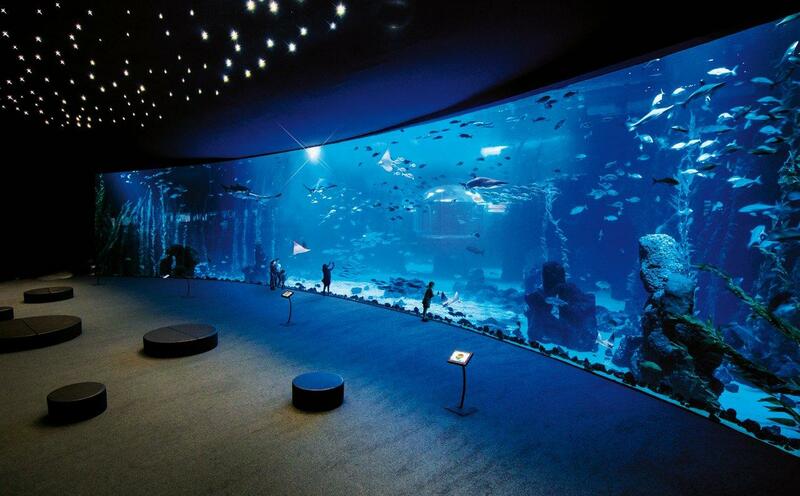 At the end, the curved effect of the window gives the visitor the sensation of being submerged to a depth of four metres, surrounded by the extraordinary marine life that abide in its waters. What’s more, the Nestor la carte restaurant also offers stunning views of Deep Sea. Thousands of specimens and dozens of different species inhabit Deep Sea. An outstanding example is the Bull Shark (Carcharhinus leucas), which can be seen in very few aquariums in the world. In addition, there are several specimens of Sandbar Sharks (Carcharhinus plumbeus), Sand Tiger Sharks (Carcharias taurus) and Nurse Sharks (Ginglymostoma cirratum) coexisting with Roughtail Stingrays (Dasyatis centroura ), Common Stingrays (Dasyatis pastinaca), Round Fantail Stingrays (Taeniura grabata), Bull Rays (Pteromylaeus bovinus) and Common Guitar Fish (Rhinobatos rhinobatos). Many of these species are listed by the International Union for Conservation of Nature (IUCN) Red List of Threatened Species and are in some degree of vulnerability or threat in their natural environment. Various dangers, often caused by human action such as overfishing and pollution, put their populations in the wild at risk and the role of conservation centres such as Poema del Mar is particularly important in raising awareness of their status and contributing to their protection and survival. 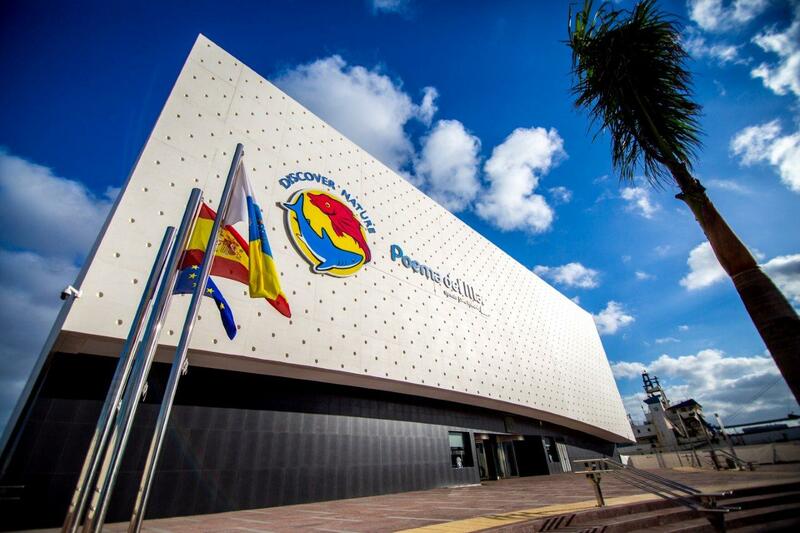 This new venture by the Loro Parque Company, which has already established itself as one of the most modern aquariums on the planet, has a firm commitment to innovation, conservation of biodiversity and excellence in sustainable tourism. This is the reason the Canary Islands’ authorities consider the installation to be of "strategic interest for the region", which reinforces the promotion of Gran Canaria, and of the entire archipelago, as one of the best tourist destinations on an international scale.